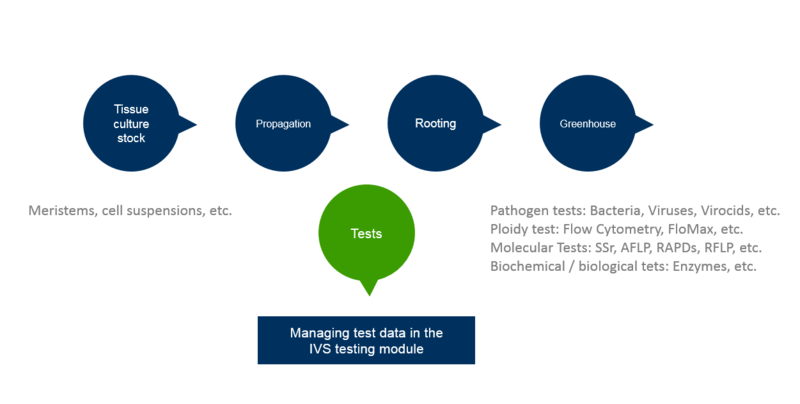 The software based optimization of all sectors in the production workflow of tissue culture labs is the basis of IVS. All important functions such as production planning, mix up free production or tests are available. Commercial labs all over the world either in horticulture or vegetable production are already using IVS successfully. A special advantage is the individualization of all IVS modules in order to fully meet the requirements of every user company. A special advantage is the individualization of all invitrosoft modules to the fully realize the requirements of individual companies. We would be glad to present you our solutions for your company!